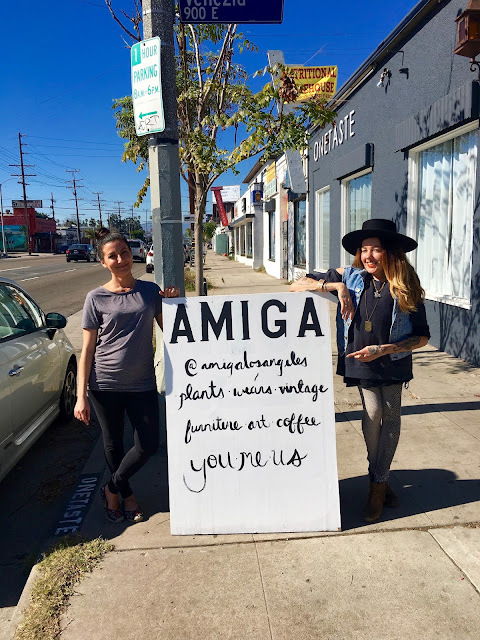 I'd been hearing great things about Amiga, the new lifestyle shop on Lincoln Boulevard, and finally got there myself the other day. 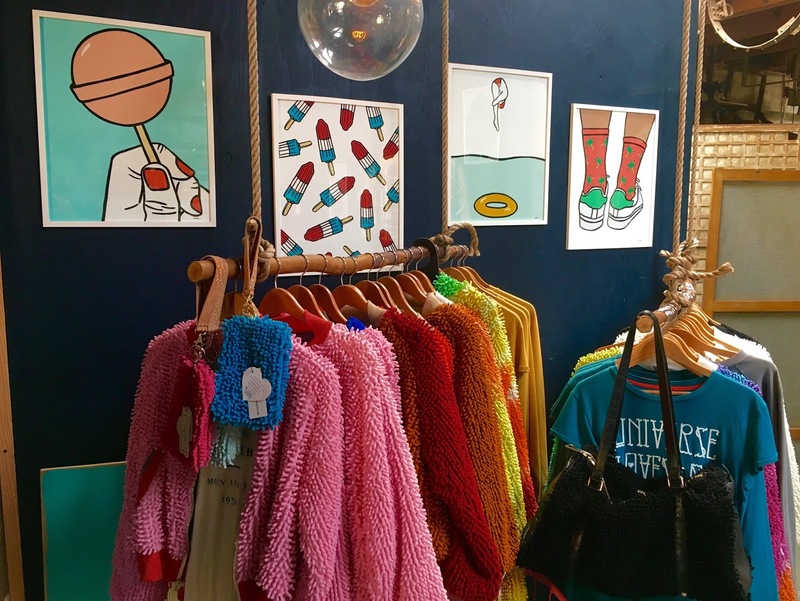 Amiga is the vision of friends, Sadie Gilliam and Nicole Reed, who came together after their respective businesses (Freedumb Founded Jewelry by Gilliam, and the Lincoln & Rose blog by Reed) often found them at the same pop-ups. 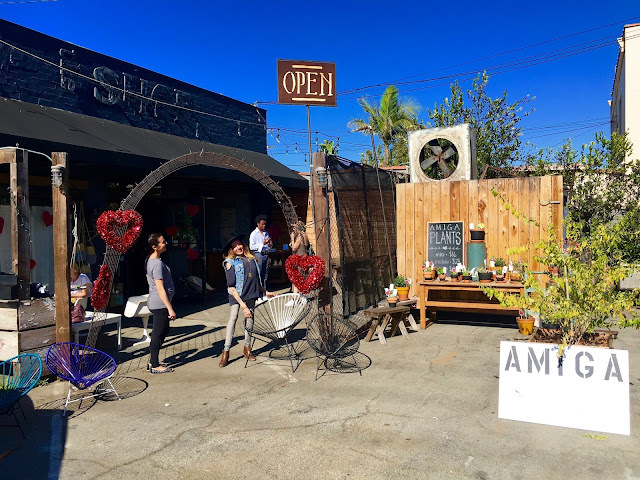 A friendship was born between the Venice native Gilliam and the San Pedro bred Reed, and they talked about looking for a space for an actual shop site. 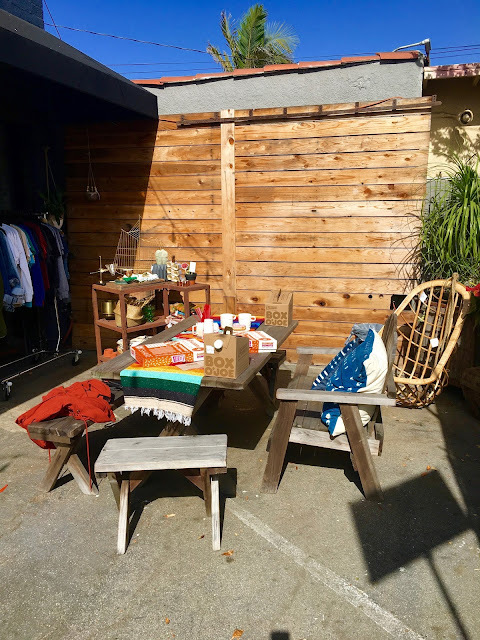 Gilliam's mother was shopping at the antique store, H. Bleu, on Lincoln, when its owner, Sue (fourth generation Venice), told her she was looking to sublet out the space, and that she wanted it to go to Venice people. That was just last December 10th, and Gilliam and Reed had Amiga open for business by the 15th! They pretty much just looked at each other, shrugged, and said, "Let's just do it!" 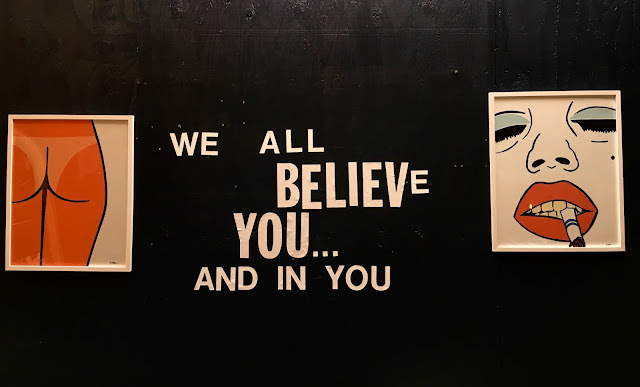 I love that go for it spirit, and they did it! That Reed had just found out she was pregnant with her first child only made it all the more impressive, but with help from both of their families (with honorable mention especially to Jeremy Reed, Nicole's husband, for helping to get it ready in time), and all of their relationships with vendors from their pop-ups ready to go, Amiga was up and running just in time for the holiday gift-giving season ... phew! It was all very charmed, and seemingly very meant to be. Women power! It's been going like gangbusters ever since they opened their doors, as all of their vendors have their own following, and when people come in looking for say, art by Priscilla Witte, they might get turned on to a whole new designer they'd never heard of that becomes their new favorite. It's just that kind of a place. "This is such a badass spot! ", said one happy, new customer while I was there hanging out, and she was not wrong. In just the time I was sitting there chatting with the amigas, we all honestly made like three new friends, and that's when I realized what a perfect name the gals had chosen for their new venture. Amiga! I got to meet the very cool Robin Wisdom, who sells her delicious "Peace, Love, and Wisdom" candles out of Amiga. She is the wife of artist Norton Wisdom (member of the Cali Locos! ), whose drawings adorn her candles. 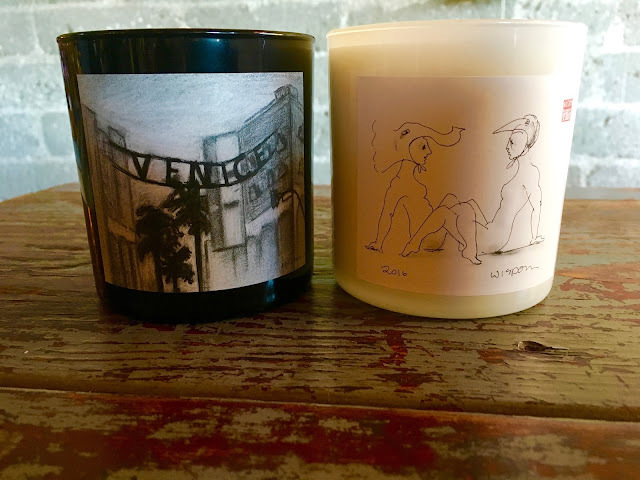 Their daughter did the sketch for the Venice candle, and its wonderful graperfruit aroma make it a best-seller. Mrs. Wisdom also does the tarot card readings when Amiga hosts their fun events ... aaaand I can't wait until the next one. They recently hosted a make your own Valentine afternoon, and it was fueled by the Menotti's coffee truck that pulls up to their space on Sundays from 8 am - 2 pm. It's a really good hang, and this past Sunday they had free donuts and coffee, just for fun in the sun. 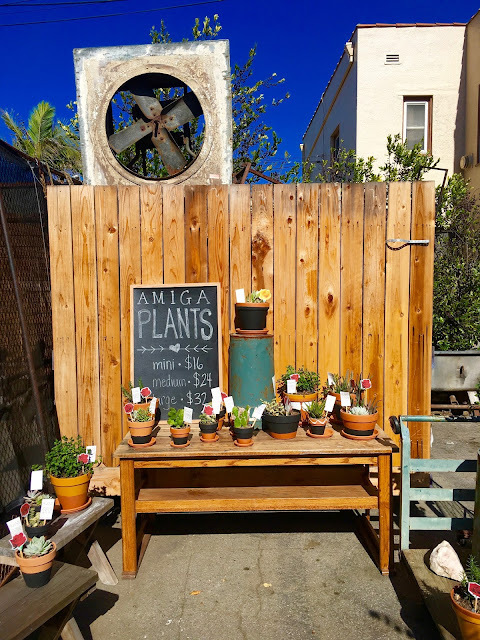 Amiga also carries Mrs. Lilly Apothecary items, clothing from Jasmine St. D'Aigneaux, chocolates from Rose Avenue Sweets, vegan jewelry made out of recycled bicycle inner tubes from Beatrice Holiday, greeting cards from The Good Twin, and plants from Amiga themselves. I learned a new word while visiting Amiga ... "Flintknapping". 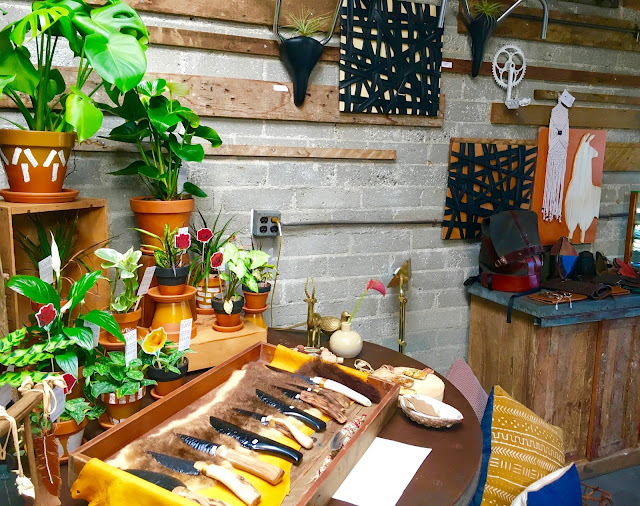 It's the method of making stone tools, and the very cool knives they carry look as if they were carved out of dragon glass. They would be a very cool V Day gift for your dude ... or anyone, for that matter. 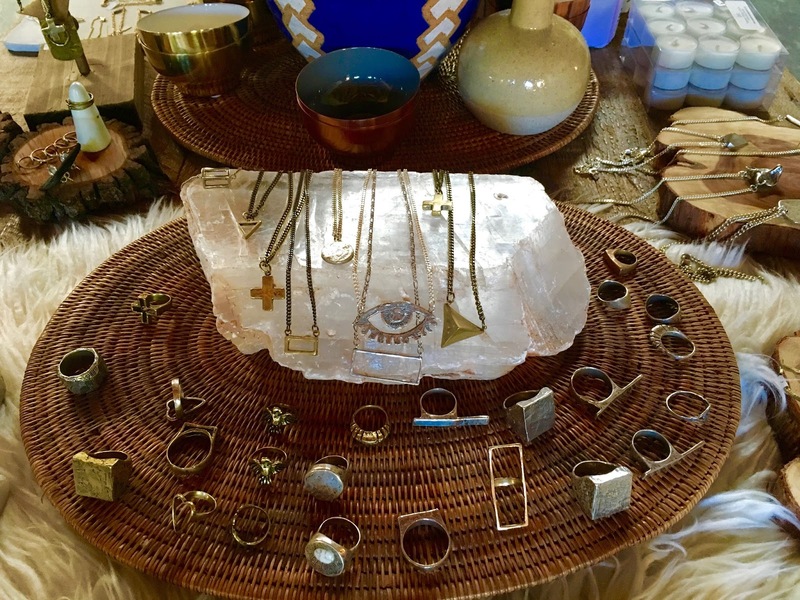 Gilliam told me that there is finally a "Venice" ring in the works from her Freedumb Founded line, and I'm already in line in front of you, so you better get in there to get yours! She is also adding hats to her line in April, and if they're as cool as her jewelry ... I'm so excited. "We just feel lucky to be here, and give local artists and makers a home," explained Gilliam. To that point, I witnessed no less than three people come in while I was there to see if Amiga might like to carry their wares. It's a true community store, by and for the members of our community. When I asked her what she liked most about Venice, she laughed and said, "The traffic on Lincoln. It makes people see our sign and stop in!" In addition to that traffic, she loves Hinano's for burgers, Animal House for clothes, Windward Farms for their ceviche (what?! I didn't even know. ), and the view of the palm tree clusters at night. Asked the same question, Reed digs that Venice is flat, and makes for great bike rides. She loves the old cars, the artist community, and the fact that we're all mashed up here. "Extreme wealth and extreme poverty are all right here, and we're forced to figure it all out together. 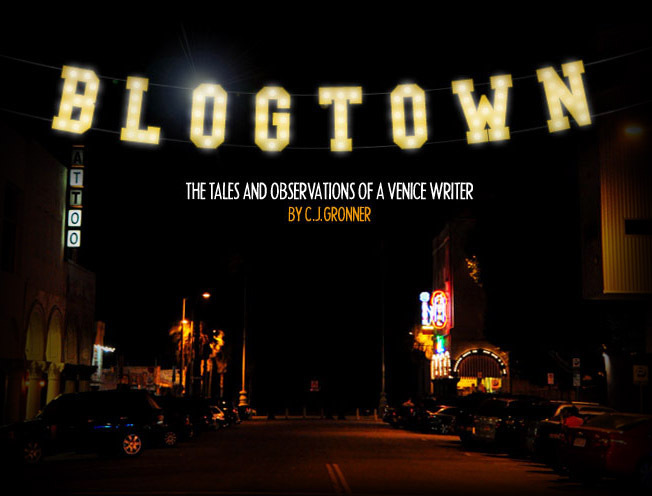 We're exposed to so much in one place ... if I could pick anywhere to live, it would be here."